Hot off the Presses: New Books! Some gorgeous and inspiring new books just hit the shelves here at Stash! We’ve also replenished our supply of Botanical Knits (review here). These are all wonderful in their own way, so let’s get to it and take a peek inside the pages! 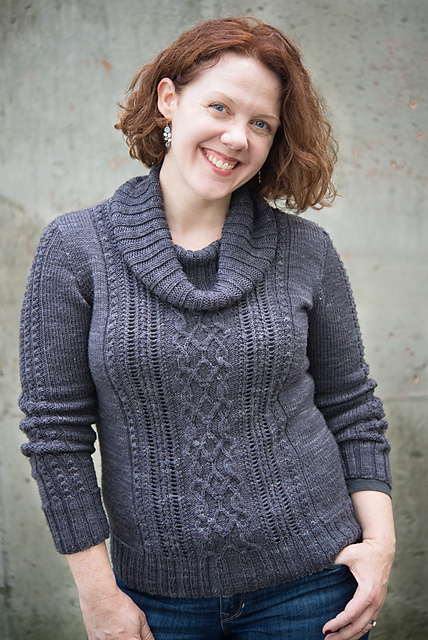 Amy Herzog’s Fit to Flatter blog series was immediately a huge hit in the knitting world when she wrote it in 2010. Soon after releasing the tutorials, she started offering classes at yarn shops teaching knitters how to determine their body shape and create well-fitting sweaters. Earlier this year she released the hugely anticipated book, Knit to Flatter, which includes all of the incredibly useful information from her blog series plus a whole lot more! If you’ve ever struggled to figure out what what style sweaters will flatter your figure, this is the book for you. Amy first gives instructions on how to determine your shape and then has a chapter on each shape category. These chapters give the knitter ideas about what will look great as well as things to avoid. Plus, there are patterns specifically tailored to each shape included in the chapter! There are 21 designs in all; truly something for everyone. The final chapter of the book is all about figuring out what modifications need to be made to a design to achieve a sweater that fits (that thing we strive for every time we cast-on for a sweater!). Island is Jane Richmond‘s first self-published pattern collection which is inspired by Vancouver Island. Island features 5 gorgeous patterns which are all done in Jane’s classic style. One of the things I love most about these patterns is that they really let the yarn shine. None of the designs are too fussy and have just the right amount of lace or cables. The patterns are beautifully photographed and will make you want to pack your bags and go visit Vancouver Island! Pick your favorite skein of DK weight yarn to knit Arbutus or grab that sweater quantity of hand-dyed sock yarn and cast-on for Grace! Also inspired by life on the west coast of Canada are the ladies of Tin Can Knits! Pacific Knits is a collection of 18 patterns ranging from small accessories to sweaters for the whole family! One of my favorite features of this book is that all of the sweater patterns have a huge size range. Each sweater includes 15 different sizes ranging from 0-12 months to 4XL. Antler is such a sweet little sweater knit with Dream in Color Classy’s colorway Morning Dove. The darling wooden buttons are from the collection of Wooly Moss Roots we have at the shop. We are also stocking the single print patterns for Antler! Knit with Me by Gudrun Johnston is a truly unique book. Many “mother-daughter” books offer patterns for woman and small children, but Gudrun has taken the theme to a new level. Knit with Me includes 7 sweaters and 5 accessories with sizes for teenagers and adults. Most of the garments have a range of sizes from a 30″-50 or 55″ chest circumference. Gudrun was inspired to put together this collection after her daughter had finished her very first knit sweater. She knit the same sweater as her daughter as moral support. The book includes a perfect pattern for the teen in your life to knit her first sweater. Granny Smith (also known as the Beginner Sweater) is a seamless top-down raglan style sweater with simple yarn-over increases. Even if you don’t have a teenager daughter or a teen in your life to knit for, this book is full of beautiful sweater patterns and fun accessories to knit for yourself! Stop into Stash, check out these books and get inspired! What will you cast on for first?